It’s always nice to find a cafe that is open on a monday. With a simple and fresh brekky menu we had to give it a try. With a changing menu it was a hard choice between avocado toast, savoury brekky mince and Humpty Dumpty eggs! (we both ended up with humpty dumpty :P) . 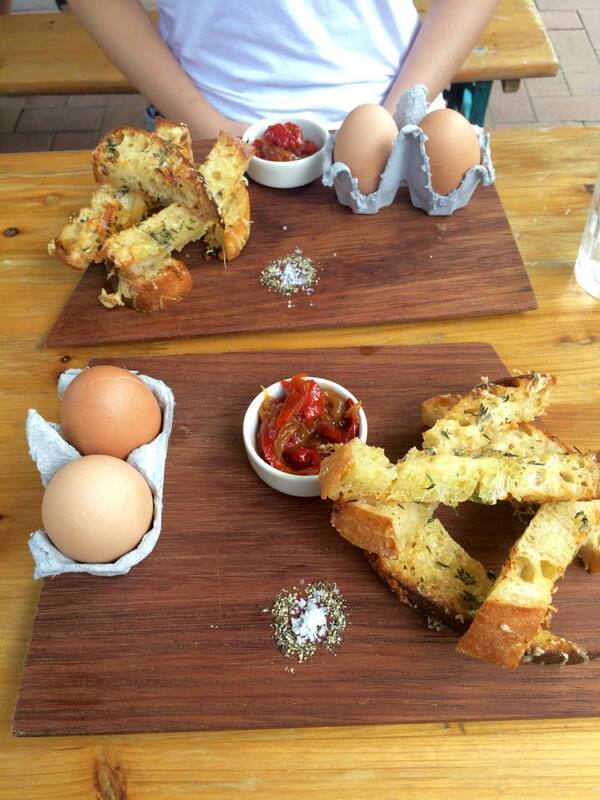 The gooey eggs were delish (8/10) accompanied with some cheesy herb bread and capsicum relish. The coffee was good 7/10 and it was nice to not be charged extra for a lactose free alternative. #A had the cold pressed juice of the week – Beetroot, Lemon, Ginger and Apple which was very healthy indeed.